We started the New Year vigorously with hiking Surisan Mountain. 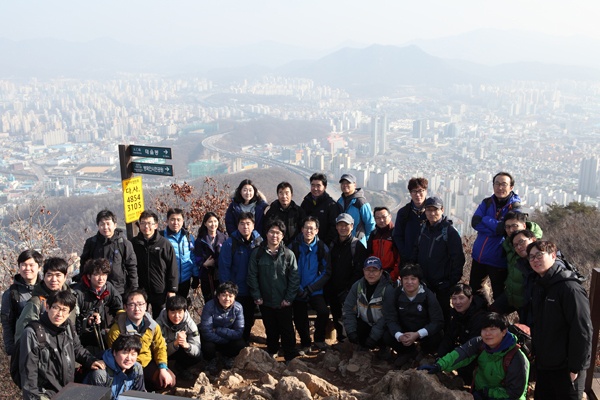 As climbing the mountain, we strengthened our commitment to the New Year. After lunch, we went to the office and held an opening meeting of this year and have shared our wishes of the New Year. We look forward to an upcoming 2016 to be full of health and happiness! Prev 2016 Summer Workshop "Let's Prepare for the Future"